Granite balance table is designed for ensuring stable operating conditions for high precision measurements. The table top is manufactured from polished granite and it is based on GI, metal construction. 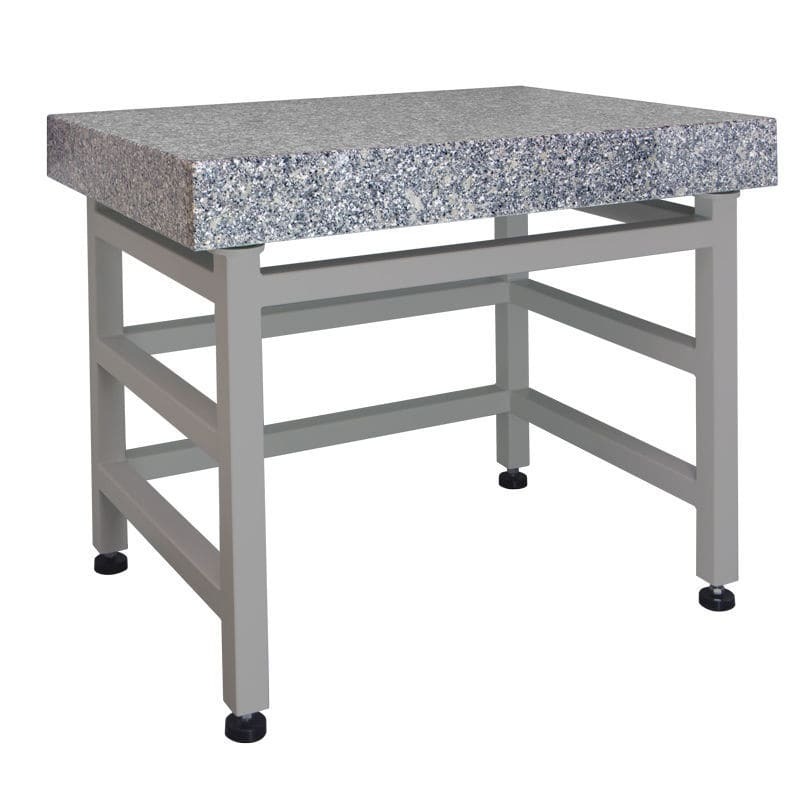 GI granite balance table is designed for laboratories or sample preparation rooms, to provide suitable working conditions for precision measurements. The table provides comfort for equipment operation and elimination of both, ground vibrations and vibrations being a result of user’s activity while operating equipment. The table design consist of heavy GI powder coated steel frame, equipped with adjustable leveling feet and 100mm thick polished granite top for equipment. GI granite balance table for precision measurements has been designed to satisfy the user with the greatest possible equipment stability. The table provides comfort for equipment operation and elimination of both, ground vibrations and vibrations being a result of user’s activity while operating balance.